Gocator® 2500 high-speed 3D laser profile sensors provide complete 3D inspection from onboard the sensor head (including scan, measurement, and control)—at blazing speeds up to 10 kHz. Blue laser and advanced optics deliver superior data quality on micro-features and challenging material surfaces (e.g., dark, specular). Designed for high-performance small parts inspection, these 3D line profilers achieve fast scan speeds (up to 10 kHz), and high X resolution (8 μm). 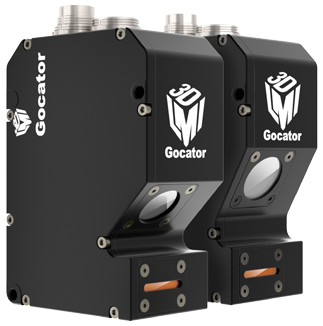 A custom 2MP high-speed imager, advanced optical design, and blue laser light allow Gocator 2500 sensors to generate superior data quality with highly repeatable results—even on dark and shiny surfaces.